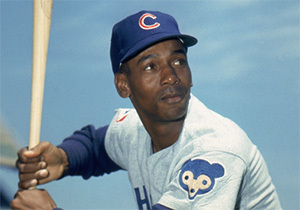 Ernie Banks is a Hall-of-Fame baseball player who's also known for making a difference through his approach to life. In the spirit of the recently deceased Pete Seeger, Banks has made the world a better place and has been kind while doing it. One of his favorite sayings was, "Digging for gold is more important than the gold itself."